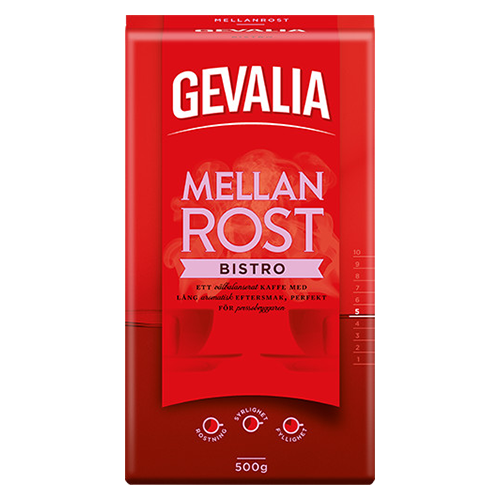 Gevalia Bistro ground coffee is a bit more coarsely ground coffee with a slightly darker roast ideal for pressobrewer and percolator. Gevalia Bistro is made up of selected beans from South and Central America and East Africa. The result is a balanced full-bodied coffee with a long aromatic aftertaste.